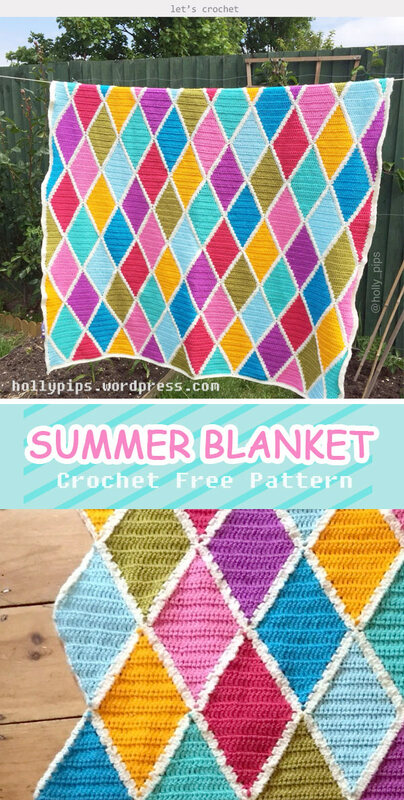 Amazing Summer Harlequin Blanket Crochet Free Pattern for yourself, family, and your friends! Also it is one of the most useful gifts for baby shower. 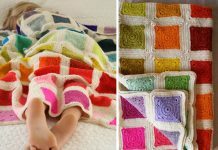 If you are a newcomer to crochet, you will definitely like to use the pattern repeat and make larger blankets. Once you become comfortable with the Harlequin stitch, it will be very quick and easy for you to make a diamond within only several minutes! 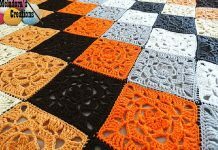 You would also enjoy to connecting each beautiful crocheted diamonds to make a whole blanket. You must feel great for what you have done! 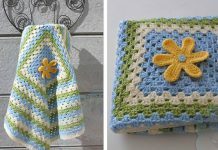 Thanks HOLLYPIPS for sharing this free crocheting pattern. The link for the free pattern is provided below photo. Happy crocheting.